serendipity – Hello Korea ! Today, after meeting two Holt adoptees who had never heard the opinion of anyone outside of Holt’s circle before, I let fate take me where it will and just meandered, with the idea I’d like to get some boots with heels, since I’ve worn my current ones out. But on the way I got side-tracked by an interesting-looking live bar. (this is what Koreans call a bar that has live music) Llooking to have some anju (drinking food) because I’d skipped lunch, I had a chat with the waiter there. It was really refreshingly strange to have an attractive young Korean man interested in talking. Musta been a good hair day or something. No. It was probably the English! ha! After the yummy food I decided to look at the bookstores for some esoteric Korean cookbooks, and hit the jackpot. I got one book first printed in the 80’s that has 40 kinds of kimchi in it. 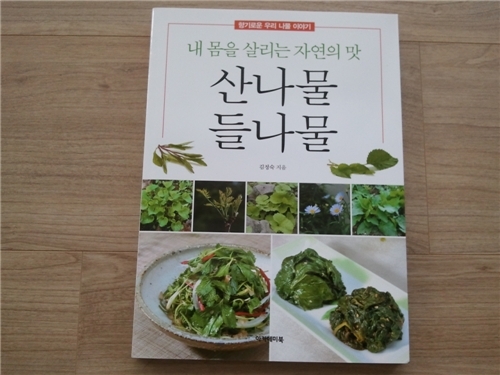 And then, a recent book which has images of wild greens, both picked and in their natural setting so you can identify them when you go and forage, as well as one banchan recipe for each namul featured. There are tons of fusion cookbooks and “well-being” cookbooks and diet cookbooks, but didn’t have any luck in the vegan category until I found two separately published books on temple food, one by two female monks. I got my daughter a coffee-table book in English on temple food for Christmas, and these are similar yet less romantic – less text & images and a little more food, but not as beautiful. 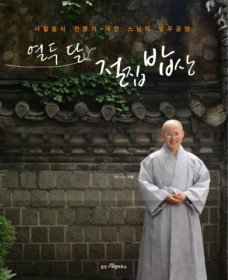 I was happy that each book’s dishes don’t duplicate each other, so there seems to be quite a variety to the fare if you’re a monk in Korea. 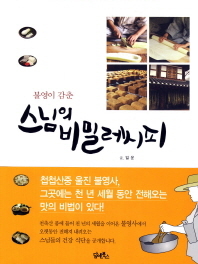 If I had more time and money for shipping, I’d go see if I could find more great cookbooks at the used books market in Dongdaemmun, though I DO think I’ll try to get at least one book on making hanbok (한복 만들기). Oh, and a lot of these books are available on-line at yes24.com, though that site’s all in Korean and don’t know if they ship internationally. It was good to finally see what I’ve been eating was prior to cooking and in its natural setting, Some of them, like dandelions, and lambs quarters, I know can be found anywhere U.S.A.m but there are probably about forty different ones highlighted in this book, so I’m sure some are only indigenous to Asia. Hopefully I’ll be able to translate enough words and be able to get my hands on (or substitute) enough wild greens to be able to make them. And, now that I have some handy reference, I can also look up some of my favorite dishes on-line and share them with you. I’m hoping I can purchase some of these greens at Korean markets once I get to America. That is, if I get to America: I’m getting anxious about Vegas, as I don’t have much contact with my future boss, but I keep preparing for it anyway. Regardless, I hope I can make the most of Korea once school lets out after Christmas. I wish I could be here as just a tourist and not working. I’d make every day a serendipitous journey and/or ferret out some gems to experience. Hello ~ I have tagged you to receive this award! If you have already received it, no big deal. Have a great day! Hello ~ I have chosen your blog to receive this award! If you have already received it, no big deal. Have a Great Day! I wasn’t aware of your blog! I’m not aware of most blogs and will have time the next two weeks to read. I’m always impressed how people manage to read AND write! Thank you for the props! And you have a great day too!